What Exactly is the Six-Month Smile That Dentists Offer? The rise of modern technologies is a double-edged sword. While it provides people easier and more convenient life, this event significantly changed the character of the society – we want things promptly nowadays. With the Internet, you can access a lot of information in just a few seconds. However, this desire of people to see results immediately is not entirely bad. In fact, quick turnarounds do benefit the dental industry. Braces, in particular, take no less than two years to effectively straighten your teeth. If you can have a better smile instantaneously, would you not grab the opportunity? In recent years, the industry witnessed the birth of new technologies, those that claims to treat specific oral issues faster. One of these is the Six-Month Smile system. Practices offer this orthodontic treatment to patients who want a faster and less costly solution for their crooked or misaligned teeth. Does this treatment guarantee anything? Is it for everyone? According to practitioners, the Six-Month Smile is an alternative to braces or invisible aligners; however, that does not necessarily mean that it is a better treatment than the two. Like every dental procedure, teeth straightening requires thorough planning and accuracy on the part of the dentist; no two patients have the exact same treatment needs. In essential, Six-Month Smile is a one-size-fits-all teeth straightening kit. It constitutes regular wires and brackets that install on your front teeth and uses a fixed orthodontic force to set the teeth right. As ordinary as it seems compared to standard orthodontic treatments, practitioners have to complete a short course certification program before they can provide the Six-Month Smile. The efficiency of this orthodontic treatment depends on the knowledge and skill of the dentist. Here at Aura Dental, we offer Six-Month Smile using advanced dental technology and techniques, enabling us to make sure we keep you smiling inside and out. 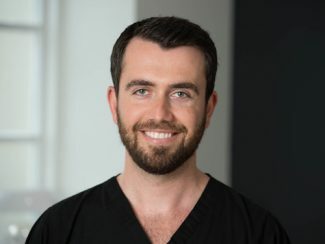 Our practitioners specialise in the latest aesthetic dental treatments in rejuvenating your smile. The cost of our Six-Month Smile treatment starts at £2,899.00. Contact us today or visit the office to know more about our services. This entry was posted in Six-Month Smile on 11th December, 2015 by Aura Dental.